Capitalizing on the ability to still use the car as an expression of personality, they produce an atmosphere that’s easy to spot. 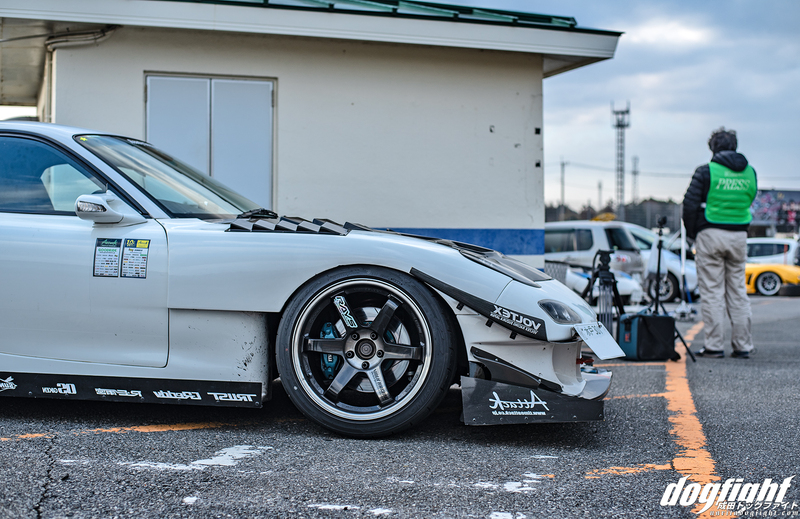 When I first had the opportunity to get a closer look at Oouchi Kouki’s FD at an event in Tsukuba a few years ago, I noticed these qualities right away. You can imagine, shortly after meeting him, I wasn’t surprised at all to hear that he was just 22 years old. Don’t let that age fool you though, Oouchi is already quickly moving up the ranks in Attack’s ‘Second Class’; the class reserved for those serious enough to want to take on the top drivers one day. Having purchased the car when he turned 18, he has devoted all of his free time for the past 4 years to building and driving the car. His hard work shows on the time sheets too, with a personal best of 58’281 around TC2000, he’s already solidified himself in the top 30 of Attack. The Ibaraki prefecture local works in manufacturing during the day, but spends most evenings and nights in the garage or at his support shop, Ready Go Next, working on perfecting the FD; no doubt with his favorite music on in the background (Namie Amuro if you were wondering). RGN’s owner, and Attack liaison, Daisuke Aoki has taken Oouchi on as an undergrad of time attack so to speak, and has provided a wealth of knowledge for the young driver. Oouchi’s long-term goal is to match Aoki’s time at TC2000. The exterior of the car is adorned with a variety of aerodynamic and custom-style parts. 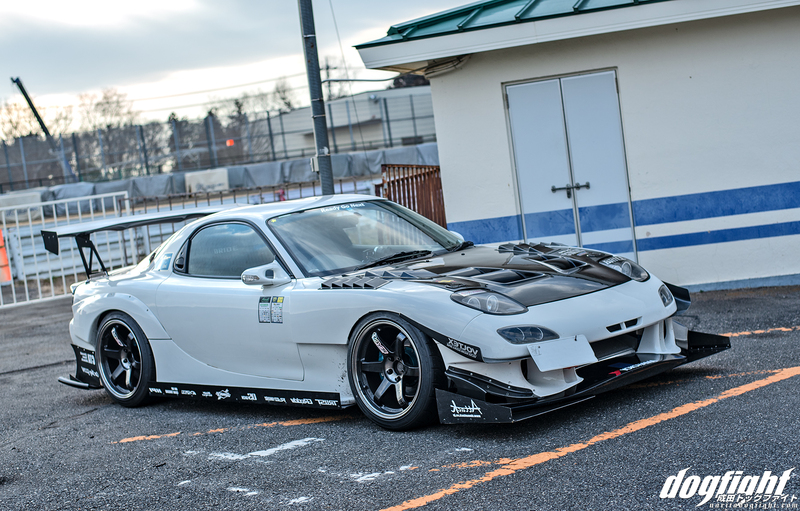 While the RGN hood and fender vents, Ganador side mirrors, and a full array of decals show off a bit of theowner’s personality, an RE-Amemiya kit mixed with a few Car Shop Glow and Voltex carbon pieces give the car it’s aggressive, but somewhat subdued street look. The car is still registered for street use and Oouchi gets to and from the race track under the cars own power. Not quite at the point where they can dedicate finances to a tow rig, driving the car to and from the track is really the only option for Japan’s younger population. 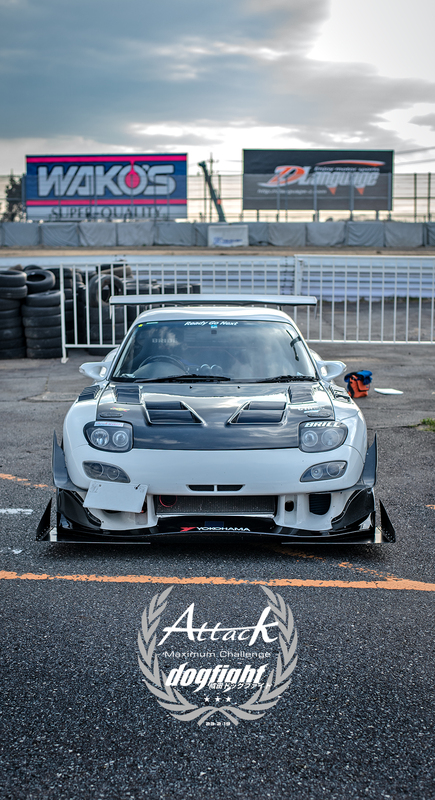 Having recently upgraded his suspension to a set of DG5 CTA dampers, a coilover specifically designed by Aoki and RGN, the duo spent the majority of this year’s Attack event at Tsukuba getting used to the car’s new feel. The 13B underneath the hood makes a healthy 380ps of very usable power. A simple boost-up along with some support modifications has given Oouchi a great starting point to hone his driving skill. 295/30/18 Advan A050 tires wrapped on Hyper Blue Enkei RS05RR wheels give the car plenty of grip on track, and for the drive home a set of TE37SL wheels are put in place to quell a bit of the flare the car gives off for the drive home. Certainly looks good on either wheel though. For a car that retains it’s full interior, you’d expect it’s weight to be around 1,200kg. Weight reduction isn’t something that has been taken into consideration yet, as the car still serves two purposes. Seeing how quickly the car has developed over the past year or two, and knowing the passion that Oouchi has to become faster, the pair shows a lot of promise for the future. This is a driver that we should all keep our eye on as the years pass. 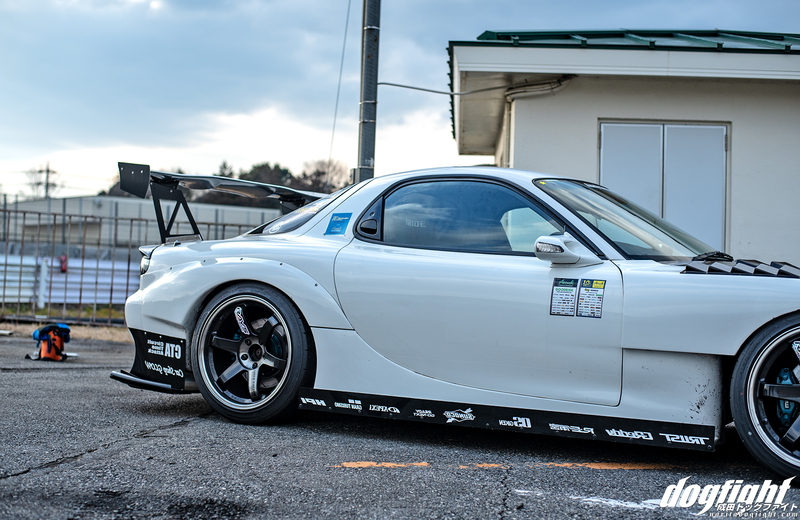 The suspension setup on this vehicle is bloody hard, wonder what the suspension details reveal about it on Tsukuba? May be a bit too aggressive for the surface there. 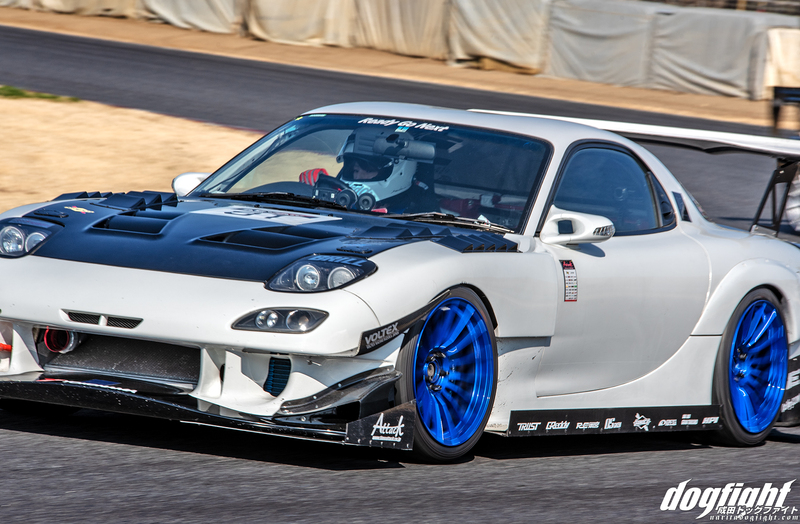 That FD sounds glorious though!